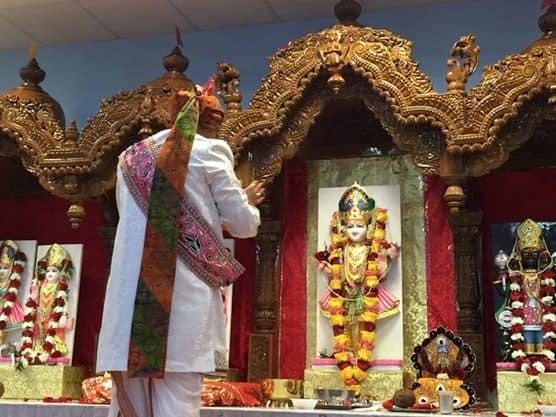 Shri Swaminarayan Temple, Wheeling is a Swaminarayan Hindu temple located in the Chicago suburb of Wheeling. 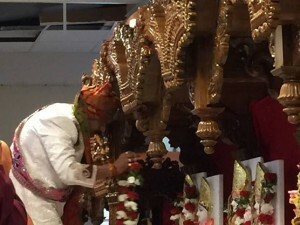 It comes under the International Swaminarayan Satsang Mandal (Laxmi Narayan Dev Gadi) of the Swaminarayan Sampraday. 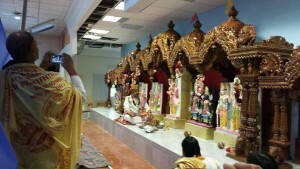 The temple is also a member of the International Swaminarayan Satsang Organisation. Opened on 26 May 1991 by Acharya Shree Ajendraprasadji Maharaj, it is built on two acres of land. Built at a cost of $ 1.7 million, it is a tri-spire temple with the spires adorning the front edge of the flat topped building. 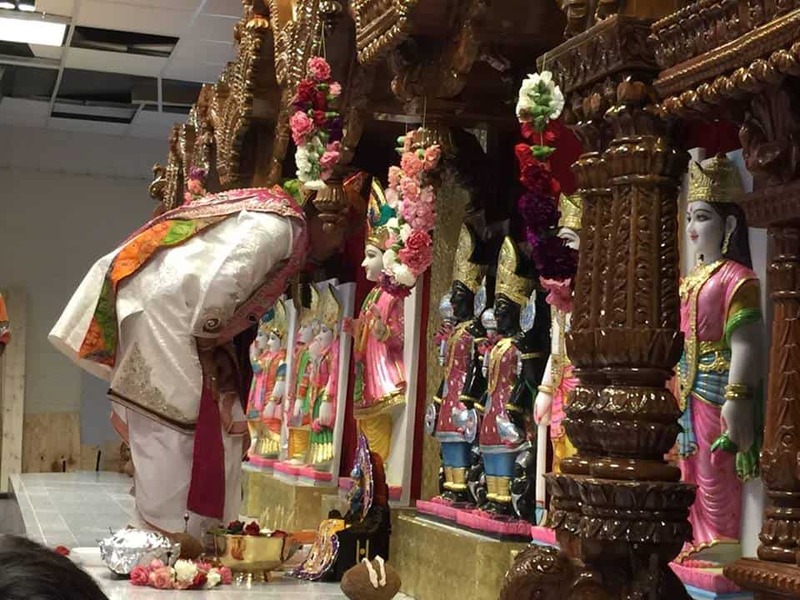 Surrounded by industrial structures, it is a square shaped, cream coloured structure with a big prayer hall that caters to a 40,000 strong community and is run entirely by volunteers. 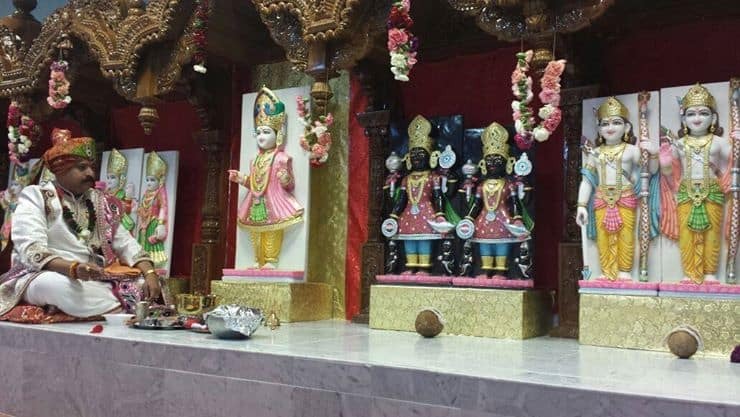 The image of Swaminarayan is worshipped in pictorial form along with other avatars of Narayana.